Can LG's first quad-core phone offer anything different? Power of four cores, but is it a bit too late? A cracking piece of kit that's worth the price and impresses against the best on offer. LG desperately needs a reboot at the sharp end of the smartphone market - can its slim quad-core offering, in the shape of the much-vaunted Optimus 4X HD, step up to the plate? 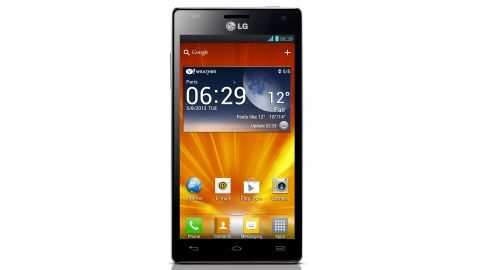 We got a few promises from LG in the form of offerings like last year's Optimus 3D – but that just felt a bit gimmicky. LG needs to pull something out of the bag if it wants to muscle in on an arena now dominated by Samsung, HTC, Sony and Motorola. On paper the Optimus 4X HD appears to have it all. Thin and light, a True HD-IPS screen, all the connectivity options you could ever hope for, NFC, 8MP HD camera, Ice Cream Sandwich and a Quad-Core processor. And had this been early 2012, then this would have blown the competition out of the water. But a few months (and a Galaxy S3 / One X release) later, it doesn't feel that revolutionary. Especially when you look at the price. SIM free and offline, you'll pay around £430 ($670). On a contract, expect a two year deal at around £26 ($40) a month to get this handset for free. Price wise, it's mildly cheaper than Samsung's flagship Galaxy S3 but is on a direct collision course for your vote with something like HTC's current baby, the One X. As far as the dimensions go, this is a handset that should fit comfortably in the palm if you've got decent sized pincers. It's very square to look at and instantly makes us think of the Samsung Galaxy S2. In fact, aside from the lack of a physical home button and the inclusion of an LG logo, you could quite easily get the two confused at first glance. It's only marginally bigger at 132.4 x 68.1 x 8.9mm, and heavier at 133g. The beauty of no home button is that LG has made the screen a little bit longer (it uses the soft keys that Google much prefers but some manufacturers eschew). We did have issues occasionally when holding it with one hand as reaching down to the bottom of the screen with a thumb led to it feeling like we may drop it. But there is a great decorative metal trim around the sides which we found gave us something to hold onto. And another warning – it is an absolute fingerprint magnet. Round the sides, there's little to remark on: a volume rocker up left, a power/standby button and headphone jack up top and the charging port down below. We do have to give special mention to the rear panel where you'll find the camera and LED flash. LG has really done something special here and given it a brushed, hard plastic feel which really does make it feel a premium device. It's actually the same as the back found on the LG Prada 3 and that, combined with that metal trim, gives it a feeling of quality. As far as the screen goes, it's fairly good. Yes, the resolution is spot on – it's a True HD-IPS LCD capacitive job. And yes, LG does make amazing TVs so we expected something good. The resolution is 720x1280 (312ppi density) spread over a 4.7-inch screen. But there's a slight problem with it. Recent handsets have had the screens moved really high up against the glass protecting them from the elements. So, on a handset like the Samsung Galaxy S3, Sony Xperia S or HTC One X, you get a really vivid, sharp, almost-too-perfect display. But on the Optimus 4X HD, there is a huge gap between the screen and the glass. So much so that we think we could see the gap when we held the phone at an angle. And that means that some of the amazing clarity is lost in the ether. It also meant that occasionally, taps didn't register and left us wondering if this was actually a resistive display like those we used to use. Not so often it annoyed us, but often enough to evoke a sigh and a grunt. We also felt a little let down by the lack of a notification LED. They are a bit marmite. But there is something handy about being able to glance at your phone without touching it to see if anything needs your attention. Third party apps like NoLED are all well and good – but they're no substitute for the real thing.